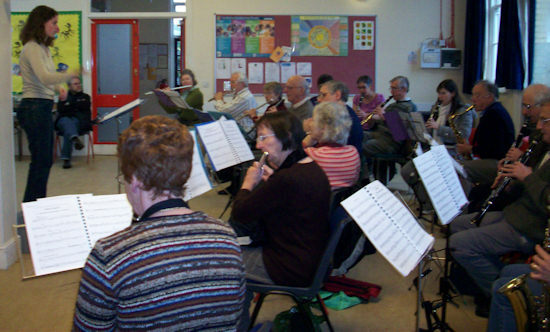 The Palace Band is a large open-access woodwind ensemble, which aims to give intermediate adult players the experience of playing in a larger ensemble and at the same time improving intonation, sight-reading and ensemble skills. 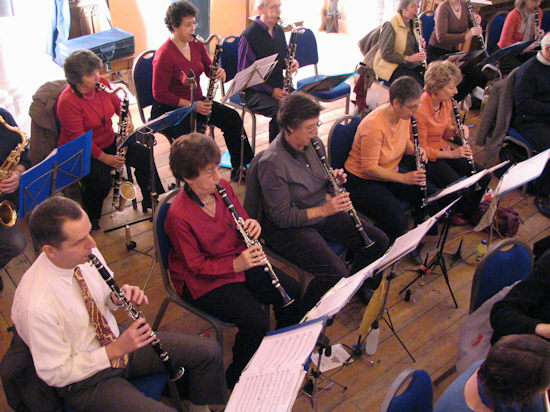 The Band now comprises about 45 regular players and there are also many opportunities for playing in chamber groups. 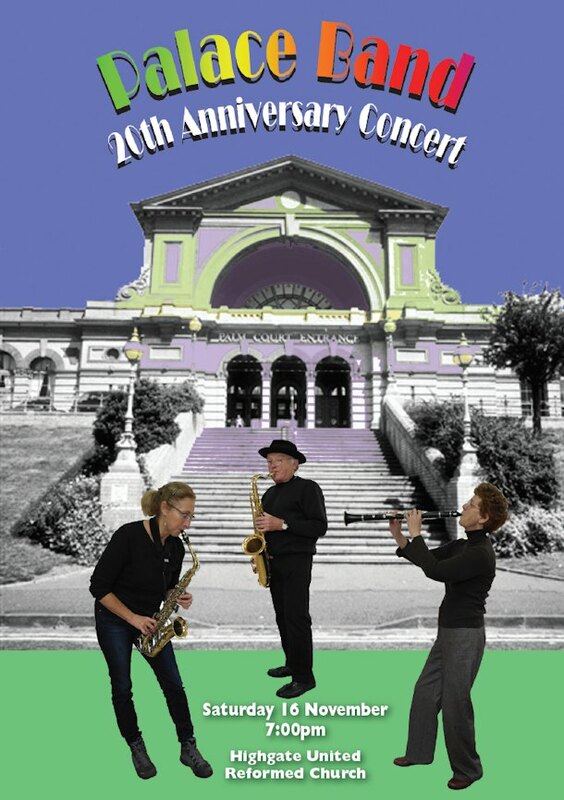 The band takes its name from Alexandra Palace in North London, which is adjacent to the Community Centre where the band rehearses, on alternate Sunday mornings. There are no auditions, and the band has a relaxed and open ethos. The music is arranged in a four-part flexible format, which gives a choice of parts for the flutes and clarinets. There are parts for B flat soprano, alto and bass clarinets, all four saxophones and French horn. The more advanced and adventurous players also have the opportunity to play concerto movements occasionally. 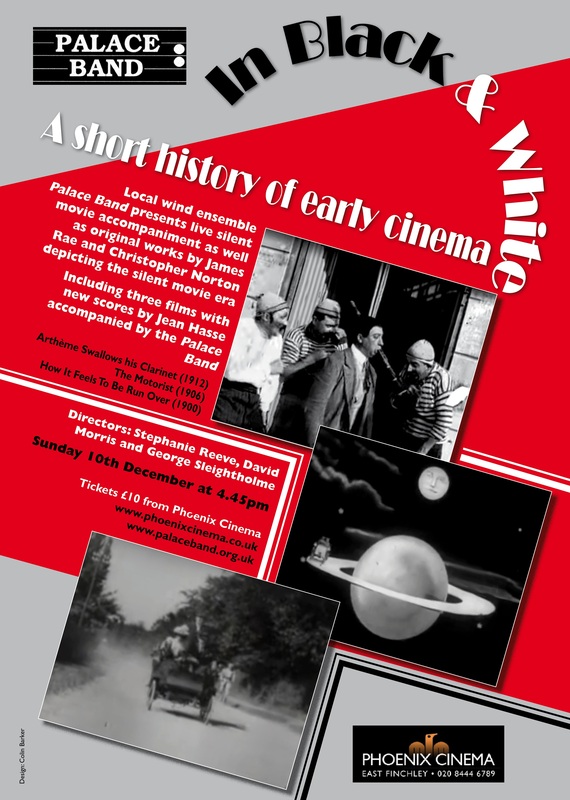 The Palace Band started life as a 'one-off' workshop back in 1993 following a City Lit. summer school, which Caroline Franklyn conducted. The workshop proved popular, so it was decided that it should continue as a regular fortnightly event. Caroline ran the band single-handedly for some years. Bassoonist Lucy Woolf was appointed and as well as providing cover for Caroline, she began chamber music coaching. When Lucy left Stephanie Reeve was brought in as an assistant. In 2007, Caroline decided to reduce her work-load, Stephanie took on the main conducting role, and Rebecca Owen was recruited as Assistant Conductor and Chamber Music Coach. After bulding up the chamber music side of things Rebecca then left in 2011 to continue her career in Glasgow and the band chose to split Rebecca's role and take on two new members of staff. David Morris joined as Assistant Conductor and George Sleightholme became the Chamber Music coach. As well as the music making, the social side is very important and many friendships have developed within the band. There is a Cake Committee, the members of which take turns to provide mid-morning cakes, usually home-made, which makes the early start well worth it!